My name's Victor Vermette, I'm a new registered user of chessvariants.com. Shogi set I crafted entirely myself. Thanks for supporting the Chess community with such a great website. Shogi Photo. 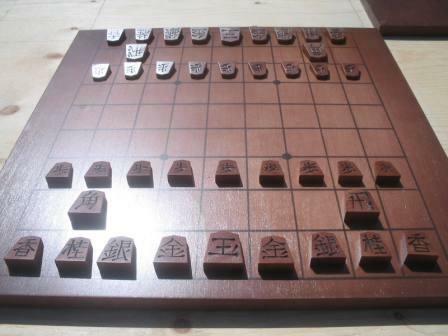 Photo of crafted Shogi set.